Smart ideas from Nate Berkus, Emily Henderson, and four other home experts. We asked six home designers for their best tips for someone trying to make their home look a bit nicer or work a bit better and they had some pretty helpful ideas. 1. When you know something needs to change in a room but can't figure out what, take pictures. "When I'm decorating a room, it’s so helpful for me to take a lot of pictures and then just sit with them for a little while," said The Jungalow founder Justina Blakeney. "It makes it easier for me to see something that's jumping out as 'off' when I take a photo of it because it gives a different point of view." Read more of Blakeney's awesome tips in If You're Obsessed With Plants And Color, You Need These Decor Tips. 2. Don't hesitate to rearrange furniture so it actually fits the way you use a room. "People often arrange furniture according to what seems right for the room when, in reality, that might not be the best arrangement for how you use the room," said home stylist Emily Henderson. Take her home style quiz if you just can't figure out what you like. 3. For something totally fresh, try taking all of your furniture out of a room, then putting it back in a different way. "Once you decide how you want the room to function, take everything out and give your brain a blank space to work with," Henderson suggested. "Bring in the larger pieces one by one and don’t be afraid to move things around until you find the best placement for you." 4. Write down your hopes and dreams down before negotiating with your S.O. or roommate. "Write down three key words, materials, and functions that you want from the room," said interior designers Jordan Cluroe and Russel Whitehead from 2LG. "It helps you focus your mind on and effectively communicate what you both want before starting the negotiation between your two styles." 5. Consider every item that you bring into your home or decide to keep. "When we buy anything that is not a perishable item, we think about whether it's multi-functional, where we will store the item when it’s not in use, and how often will we use it," explained Whitney Leigh Morris from Tiny Canal Cottage. Check out a few products Morris makes room for in 13 Products That Are Perfect For Small Spaces, Straight From A Tiny-House Owner. 6. And don't be afraid to throw out or donate things you once loved — especially accessories. "Accessories are one thing that people hold on to for way too long," Henderson said. "If it isn’t beautiful or you don’t love it then there is no need to keep it displayed on your shelf. Once a year I try to go through my space and get rid of the accessories or pieces that I have loved for so long to make room for new pieces that I find." 7. Try peel-and-stick tiles on your walls and floors for an entirely new look. 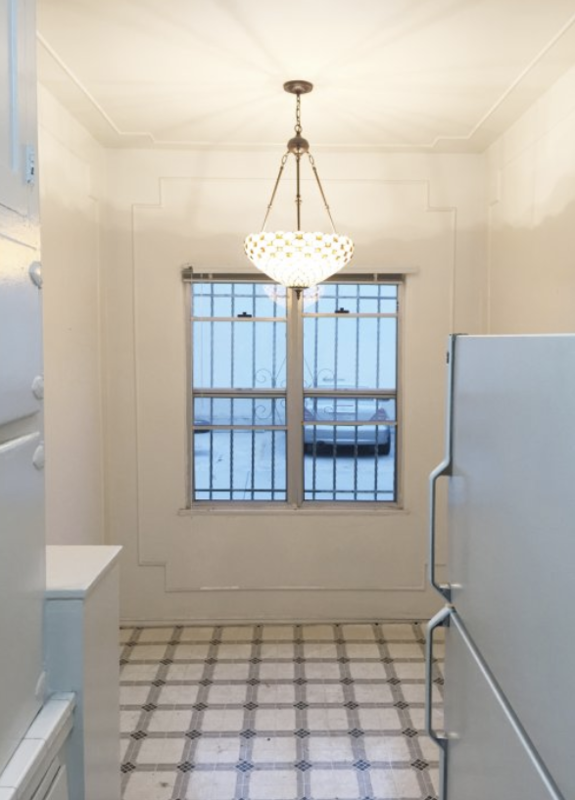 "Brady from my team recently redid his kitchen flooring with peel-and-stick tiles and completely transformed the look of the space," Henderson explained. "DIY projects like that that can change the look and the feel of a space completely have a lot of longevity to them." Get peel-and-stick floor tiles from Amazon for $13.99 or these backsplash tiles from Amazon for $19.79. 8. Splurge on the sturdy stuff, save on the soft stuff. "A dining room table is something that should last you a lifetime so that would be a choice that I would say to buy something that’s classic that you could see yourself loving forever and putting money into that," said interior designer Robert Novogratz who has a new line of furniture on Amazon. "Whereas with a bed or a couch or something that gets more wear and tear, you don’t have to spend that much money on something that you’re going to end up replacing." 9. Add an island to your kitchen to make cooking so much easier. 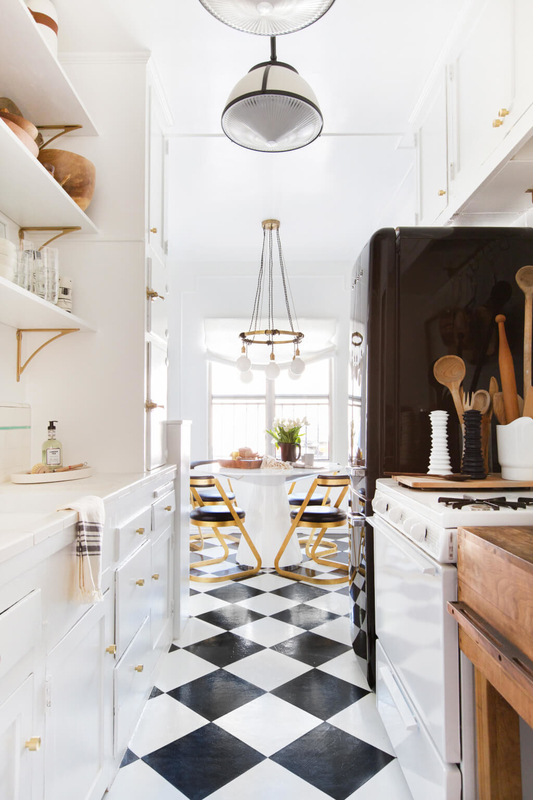 "Islands make cooking more convenient, no matter how small your kitchen happens to be," said Nate Berkus, designer, TV host, and LG Studio Artistic Advisor. If you are working in a small space, Berkus recommends a small island with casters so that you can move it to the side when it's not in use. Get a small one that should fit any space from Ikea for $119. 10. Float your furniture away from the walls for a cozier feel. "People tend to put furniture around the room when, actually, putting furniture away from the wall creates more of a feeling of space," said Cluroe and Whitehead. 11. Curtain the whole wall to make a window seem larger. "Curtaining the whole wall makes it feel like there is more window. It really changes things," said Cluroe and Whitehead. 12. And don't be afraid to pick luxe curtain fabrics. "Curtains are perhaps one of our favorite textiles — there’s no reason that you can't have some luxury and texture." Cluroe and Whitehead actually pick out the fabrics they like first and then get them turned into curtains by a local seamstress. 13. Choose uniform flooring and paint to create flow in an open floor plan. "It would look a little weird if there were hardwood floors and then tile in the kitchen because it would chop up the space," said Novogratz. "The same goes for paint color: if you have a bunch of patterns or different colors, it looks a little odd." 14. When you renovate your kitchen, think about your new appliances first. "The first thing we always think about is the countertops or the backsplash, but if you didn't buy the best, most hardworking, dependable appliances, it’s not going to matter if you spent months trying to find that Moroccan tile or that perfect shade of green for your backsplash," Berkus explained. "I have these — which I helped design — in my own home which I like because they're both dependable and blend into the furnishings." 15. In smaller rooms, use temporary wallpaper or paint to make a statement. said Novogratz. "Just choose one wall, and do the rest white. You can be bold, but not go crazy."